What’s fly fishing without ritual? First off, another question: what’s the difference between habit, custom, superstition and the above? Habit is ordinary, so thinking of a habit — always listening to the KNX traffic report “on the fives,” for example, before driving to work — nope, boring. Custom might be a tad better, but a custom to me means something still ordinary, yet transcending a smidge: For example, last Thanksgiving when Uncle Arthur came over he sat in the first chair to the right of the host, so this year it’s the same. In fact, it’s customary. Come on! Where's that billy goat when fans really need him? Superstition is way off from ritual. Think pro sports of any kind. 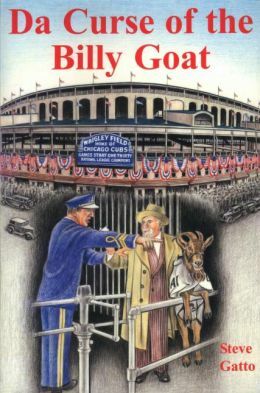 Think of the Cubbies and the curse of the billy goat that keeps them from winning a World Series; or that Jets receiver Jerrico Cotchery downs a yummy bowl of savory clam chowder before he plays the game. Nope, if superstition invaded the sport of fly fishing, we’d all keep our lucky fly on the bedpost before waking at dawn, turning twice in a circle before putting our LEFT foot into our waders first, and … you get the idea. But ritual, yes, that’s where the fun begins. Ritual means that you’re out of the habit. Ritual means as well that a new custom might just be born today on the water. And, further, ritual allows you to put all your superstitious nonsense behind. Go ahead, get into your waders with your right foot, for cryin’ out loud. And, ritual means lighting up a fine smoke after releasing the first fish of the day. Of course, the Surgeon General, your dentist, the blood-pressure gal at Kaiser and just about everyone else will tell you that smoking cigars is a terribly bad thing. I remember a chance visit to an old-time cigar shop in Vancouver, Canada. Yes, you can buy as many overpriced Cubans as you want in this perfectly restored cigar mecca, but don’t try to light up using the dual-tipped turn-of-the-century cigar “fountain” in the middle of the room. It’s illegal and the gas has been shut off. Anyway, if the occasional smoke is going to do me in, so be it. And, because it is occasional, I’m going to smoke what I like. And what I like is deep, dark and moody: the Ashton VSG. In fact, can I say I make a habit of buying this same cigar? Fine smokes belong in a liga privada of their own. So, it was with some surprise when the fellow at Fair Oaks Cigars recommended a newcomer, the Liga Privada, which isn’t a Dominican, but hails from Nicaragua. “It’s made by the Acid guys,” he said. Those would be the makers of the heinous flavored smoke. Next chance I got, I lit up, following the appropriate ritual, of course. It’s a beautiful smoke. Not as heavy as the Ashton, not as much bite, but still very long on powerful flavor. Sweet. The price is about equal, around $15.